More than 350,000 free-roaming domestic cats live in the eight- counties of south central Pennsylvania. 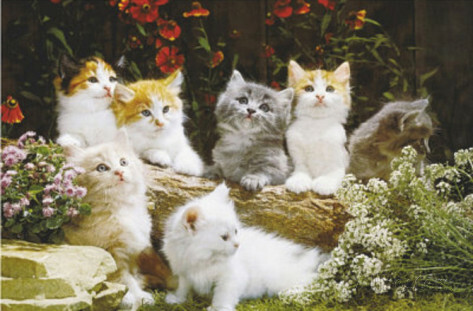 Free-roaming domestic cats produce two liters a year of four kittens each. Trap Neuter Return, also called TNR, is the proven effective strategy for managing and reducing these populations. A comprehensive strategy that focuses on interrupting reproduction and creating standardized management of cats colonies, TNR is being implemented throughout our region in a growing number of municipalities. TNR has replaced ineffective and costly strategies such as trap -and- kill. The Nobody’s Cat Foundation was created to assist your residents in implementing this strategy. Our spay/neuter day surgery clinic has opened in Camp Hill, Lower Allen Township. The clinic, easily accessed via all major roadways including the PA Turnpike, Interstate 81 and 83 and Routes 11 and 15, provides spay or neuter surgery, vaccinations, ear tipping and related services for free-roaming domestic cats who will be returned to their outdoor homes for a cost of $25 per cat regardless of gender. In addition, we provide humane traps and other tools and free TNR Basics Seminars, shelters and feeding stations. We all share in the same goal ~ to see fewer free-roaming domestics cats in our region. The foundation stands ready to assist you in implementing the only truly effective strategy for achieving this goal, a strategy that addresses the cause of overpopulation rather than repeatedly dealing with its effects. Please feel free to call me at 855-867-4228 or email me at carnold@nobodyscats.org for more information. You can also learn more about us by visiting our website at www.nobodyscats.org.